There’s no gift like this gift anywhere near as good as this gift so this must be THE GIFT!!! 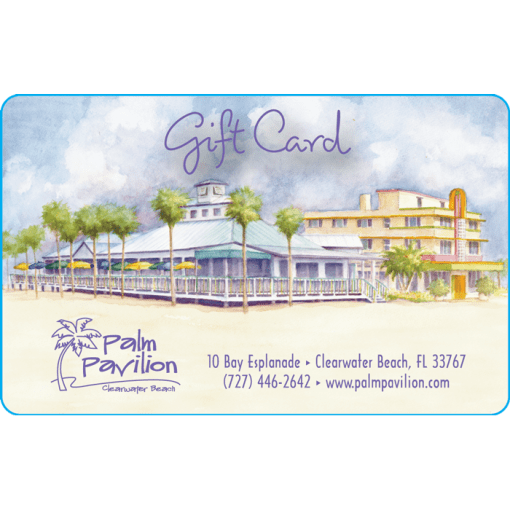 Gift-cards are valid at our restaurant or beach shop, are re-loadable and have no expiration date. Gift cards are shipped at no charge (free) via First Class mail in the U.S. No need to select the First Class option for shipping. However, if you desire it to be shipped faster, select one of the other options. 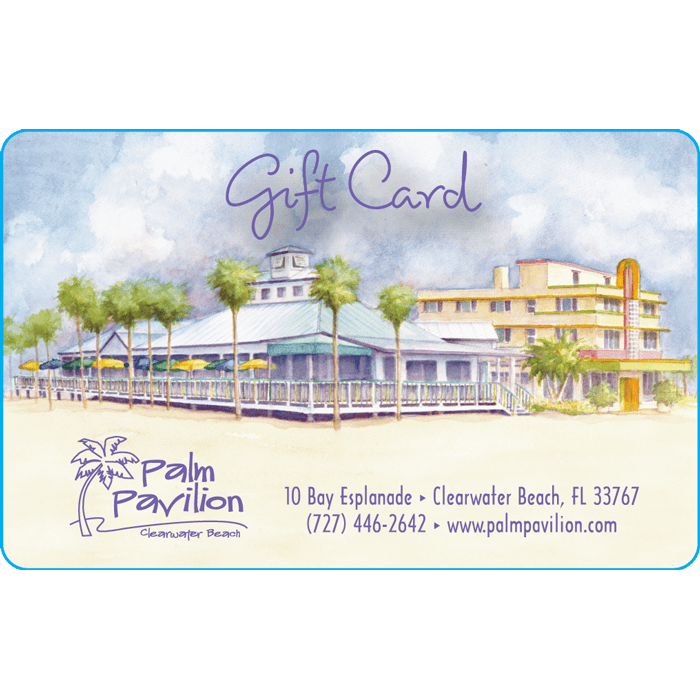 Questions: please call the Palm Shoppe and ask for the shoppe manager.